Plan one less day at Disney because you will want to spend at least a full day at the five-acre and super fun Explorer Island. Kids and adults alike will LOVE the Lazy River, Splash Zone, Family Pool, and The Drop waterslides. When they've had enough water activities, the kids will love the complimentary Kids for All Seasons kids' camp, and then you can head to the beautiful adults-only pool for some quiet time and a cocktail. The Hideout is a fantastic place for teens to hangout, complete with video games, pinball machines, and pool tables (and it's supervised by Kids for All Seasons staff from 11:00am to 8:00pm - awesome!) Next to The Hideout, you'll find basketball and sand volleyball courts. Great for families of all ages, The Mansion is the place for bocce ball, corn hole, outdoor pool and ping pong tables, and fireplace. And another thing... "Dive-In" Disney movies at the Family Pool every Saturday night... LOVE THIS!!! If you have young children, the Character Breakfast at the Four Season's Ravello restaurant is a very special experience that you will definitely not want to miss. The Good Morning Breakfast with Goofy and His Pals is offered every Thursday and Saturday (and some Tuesdays during school breaks). Goofy, Mickey and Minnie Mouse arrive with fanfare and music at breakfast, and visit every table (more than once!) for photos and hugs. I love this experience because there's no waiting in lines to see the characters, and kids have plenty of time to visit with the characters. A professional photographer is there to capture the moment and a digital photo download is included in the pricing. Reservations are required for the Character Breakfast. I was seriously impressed by the stunning and thoughtful interior design of the Four Seasons Orlando. Let's start with the spectacular lighting elements. Immediately on arrival, you are greeted by the incredible glass Fireworks Chandelier in the lobby. (Photography tip: after tons of photographs, I found the the best time to capture the gorgeous-ness is at night.) I don't want to give away too many details on this, but will say that the lighting around the Four Seasons will continue to surprise and delight... so don't forget to look up. Now on to the original artwork, which the Four Seasons does so well and really adds to the "sense of place." The art is stylish and whimsical, with ever-so-subtle hints of Disney. My impression: modern glamour at its finest. Our 12-year old son has Celiac, so it's extremely important for us to choose hotels and resorts that can accommodate our gluten free requirements. The Four Seasons Orlando does an absolutely phenomenal job with this across the board (Ravello, Capa, PB&G, Plancha, and Lickety Split). All dining staff was extremely knowledgeable knowing which dishes to avoid and how meals could be modified to avoid gluten cross-contamination. One person in our group had a peanut allergy, and staff went above and beyond to ensure his food was safe. 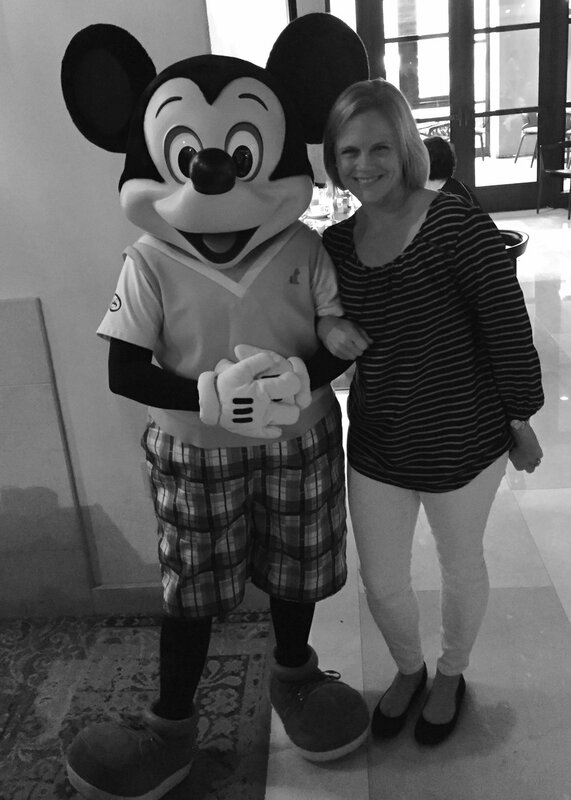 Traveling with food allergies can be very challenging, and not having to worry about this at the Four Seasons Orlando is invaluable. The beautiful and thoughtful interior design continues at the Four Season's Spa, cultivating true relaxation. 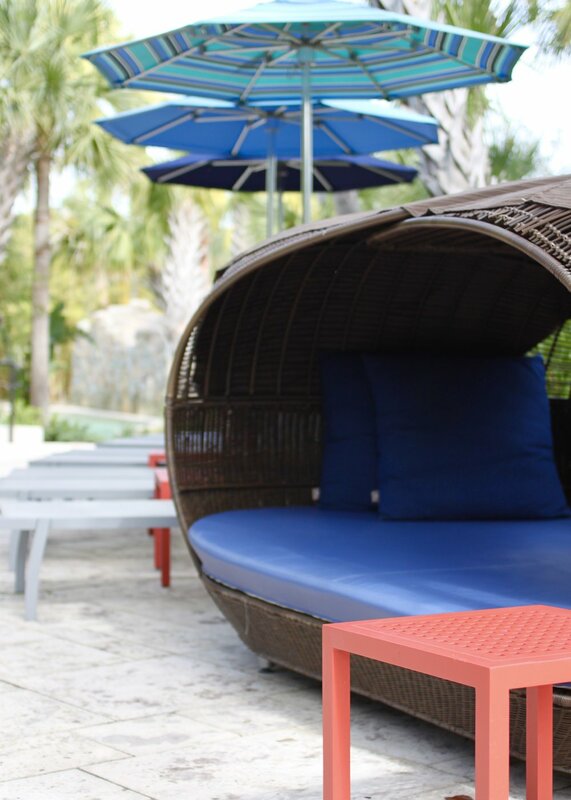 The 13,000 square foot space is inspired by the color palette and natural surroundings of the Florida Everglades. Treatment rooms are named with an Everglades theme. It's quiet and serene; the perfect place to unwind, relax, and re-center your mind and body. The large tranquility room offers comfortable lounge chairs and delicious healthy snacks and herbal tea. The pretty women's locker room has an incredible eucalyptus steam room, experience shower, and outdoor jacuzzi. Don't miss the Zen room, where you can continue to chill after an incredible spa treatment. Worth the splurge, the Park View Guestrooms and Suites have private furnished balconies and incredible views of the nightly fireworks display at Disney's Magic Kingdom. When you have a Park View Room or Suite, there no need to be among the masses in the parks at the end of a reeeeeally long day. This is BRILLIANT. 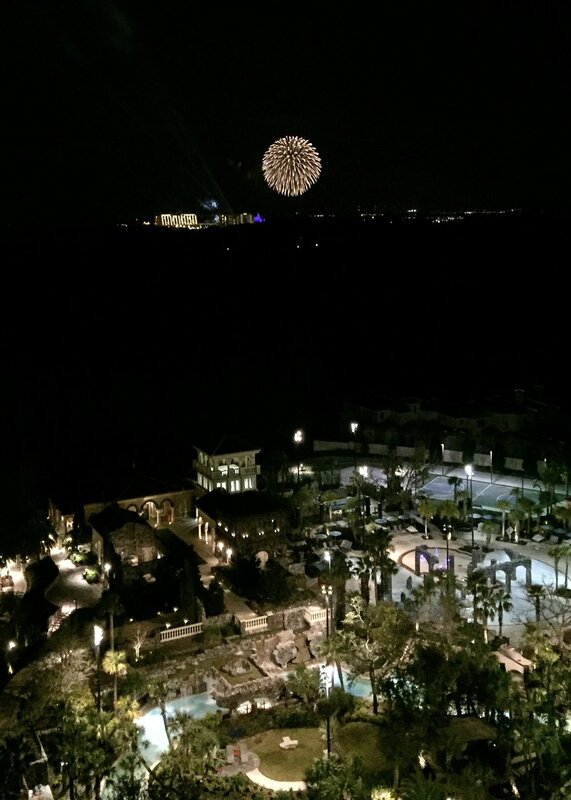 I loved watching the fireworks every night at 7:55pm from the privacy of my own balcony. And a bonus... you can see the Epcot fireworks at 9:00pm, too!!! The icing on the cake for golf lovers, Tranquilo Golf Club is the beautiful and lush 18-hole Tom Fazio designed course on-property at the Four Seasons Resort Orlando. It's a certified Audubon sanctuary, with abundant wildlife and protected wetlands. Additionally, there's an 18-hole putting course and the driving range transitions into a short Par 3 course on certain days. The brunch at Plancha (in the clubhouse) is not to be missed. At Tranquilo, kids under 12 play free with a paying adult. Teens 13-18 are half price with a paying adult. As a benefit of my status as a Four Seasons Preferred Partner travel consultant, you are entitled to these added-value amenities: Complimentary breakfast for two every day, a $100 spa credit, and have priority for a room upgrade if it's available. 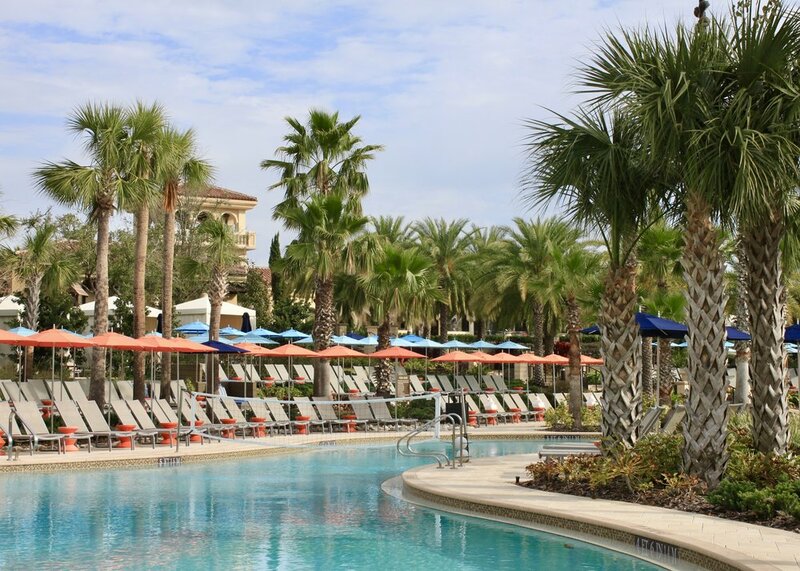 Let's start planning your trip to Four Seasons Orlando! The beautiful giant crystal ball fountain. You can see the nightly Magic Kingdom fireworks display from the Park View Rooms and Suites, and the amazing Capa restaurant. 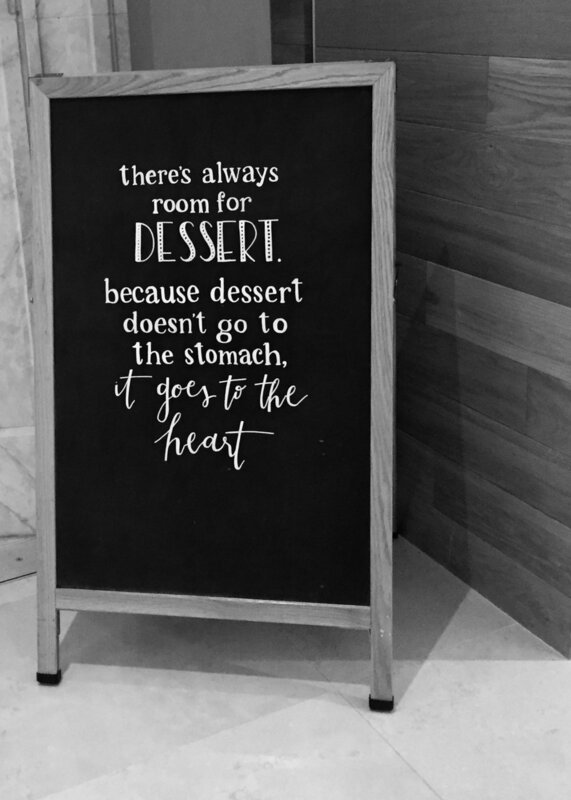 At the Four Seasons, dessert goes to the heart.